A new look at Virginia City reveals major changes brewing up in the old metropolis on the east side of Sun Mountain. 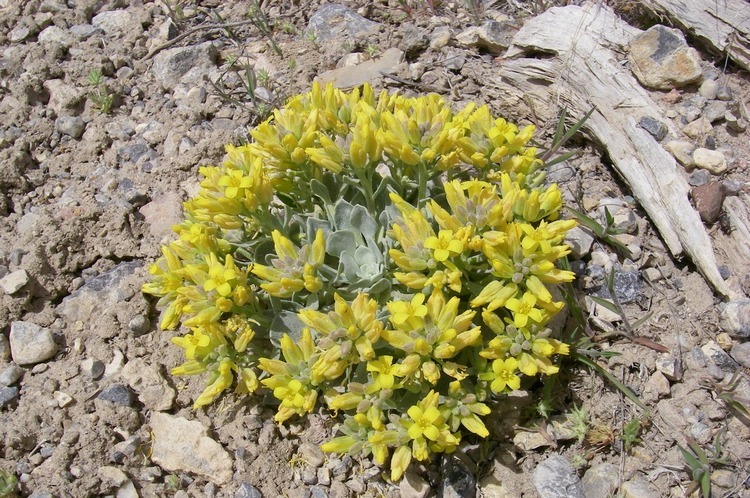 Has Virginia City lost its “carnival atmosphere”? This is the Glassblower’s Workshop, glittering with exceptional (and high-priced) merchandise. Not only have property values quadrupled in the last year, Virginia City is reinventing itself as an upscale tourism destination, not just a day trip for hot dogs and beer. and began attracting the attention of like-minded illuminati. Then the Cartwright family galloped into every living room in America on “Bonanza”, the fabulously popular weekly western in which Virginia City was just a quick canter away from the Ponderosa Ranch at Lake Tahoe. A surge of visitors to the old city brought new vigor to the local economy, but the season was still short; snow came in September and overnight freezes continued well into May. Retailers covered their bets by appealing to the lowest common denominator. Sno-cones, t-shirts and rinky-tink player pianos gave C Street a carnival aspect incongruous to the solemn old storefronts facing one another across the boardwalks and the busy street. 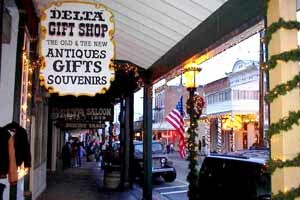 The Delta Gift Shop has been on C Street for 50 years, and it’s where Robin likes to begin her shopping adventures in Virginia City. Is C Street becoming Union Street? You can still buy a rubber tomahawk or its equivalent if you want one, but nowadays you’ll have to look for it. 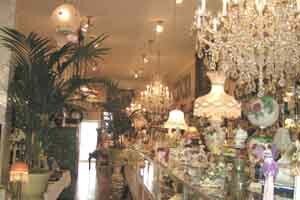 What you’ll mostly find are sophisticated retail shops selling seriously interesting merchandise: jewelry, clothing, furniture, books, art and artifacts of every kind. In the past I’ve been skeptical of the C Street retail atmosphere, so I am surprised to realize that this year I’m doing most of my Christmas shopping here, and recommending that anyone within a day’s drive do the same. Dining is still a step behind the shopping, however. The Sharon House has been closed for a long time now, and no local restaurant has ever quite replaced it as a universal favorite. Mandarin Garden is today’s Chinese Restaurant, recently moved to C Street with a magnificent view of Sugarloaf, the Dayton Valley and the mountains stretching into the vast distances beyond. There is another handful of restaurants on C Street offering good food in pleasant surroundings. 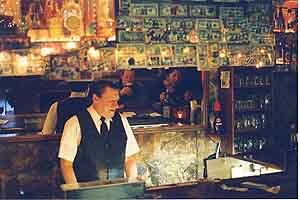 The bar at the Gold Hill Hotel is warm and welcoming on cold winters’ nights.